We have all heard that what makes a property sell is location, location, location. Catchy yes, but is only partially correct. In today’s real estate market, there are other factors that will get your house sold: Pricing, Marketing, Show Home Ready, Access and Showings, Communication, and the AGENT that you select. When your home is listed for sale, but expires from the real estate market without even an offer, there are common reasons for why that happened. You are likely thinking it is the sole responsibility of your real estate agent. Some aspects for selling a home do fall on your agent, but it is primarily the responsibility of you, the home seller. So let’s review these factors that will get your property sold. Pricing: One of the main reasons your house may not sell is due to overpricing. Home buyers are looking for the absolute best value when buying a home and will educated themselves on the current market prices with regards to the home, its location and its features. Many neighbourhoods will build similar homes as far as design and quality goes. If one property in a certain neighbourhood has had renovations and has been upgraded, it does not necessarily mean that you will be able to get top price for that home in that specific neighbourhood. The newly renovated property may catch a little more money than the others, but do not expect it to sell for that much more. You need to look at the average selling price for homes located in that specific neighbourhood. What is the true value of your home renovations? Are they enough to entice someone looking to buy in that neighbourhood to pay more and make an offer? If you are listing your home above what other similar homes in the same neighbourhood are priced at, it may exceed the fixed budget of someone who has already priced out homes in that location and are ready to purchase. Remember there could be multiple homes for sale just around the corner that they could purchase for a more realistic price in their desired location. Buyers are considering the homes location, square footage, bedroom and bathroom count, size of yard, etc. Families with children will also look at school districts, parks, shopping and more. Once a potential buyer has decided on the criteria for their new home, some additional amenities may convince them to make an offer, but only if the bonuses of that home’s location does not drive the price out of the market, or out of their budget. The best way to make sure you are not overpricing your home is to do a comparative analysis of the market. This is looking at other recently sold homes that are similar to the home you are looking to sell in the same neighbourhood. Other factors you need to consider will be the condition of the home, the age of the mechanical systems. Have you upgraded your heating system, hot water heater to be energy efficient? What about those old drafty windows? A home with upgraded mechanical equipment will obviously be more attractive to a buyer than a home with old furnaces and air conditioning systems. You also need to be prepared to adjust your price based on feedback in regards to your home’s condition. Marketing: One of the major marketing factors will be the pricing of the home. If your home was priced properly and still did not sell, you should consider how effective the marketing was. Did your agent do a good job marketing your home? What marketing strategies were put into place during the duration of your listing? 90% of home buying begins online. All property marketing efforts need to start online. High quality photos and virtual video tours should be used to provide the best presentation. Before this is done your home must look great and show well. The quality of your presentation must be good in order to capture the rooms and key features of the home to draw people in. Poor quality pictures and videos will not capture the attention of a potential buyer and will harm the online presentation for your home. 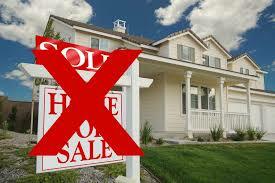 Slapping up a “for sale” sign on your front lawn is not a marketing plan. The goal is to get the home listing in front of as many potential buyers as possible so that the buyers are aware that your home is on the market. Blasting your listing across the globe will not sell your home. Your target market is located where your home is sitting, in that particular city and or neighbourhood. Targeted advertising on social media such as Facebook, Twitter, Instagram, Pinterest, Google as well as video Marketing should be part of any successful marketing campaign. Is your real estate agent using the full power of internet marketing to the right buyers so that they will want to come and see your home? If not then you need to find an agent who will properly market your home. If not, your listing can slip through the cracks and you may not ever have your home shown, or receive any offers. Open houses do not sell homes. Having a few open houses is not a marketing plan. Less than 5% of homes are sold through an open house. Your realtor can take advantage of your open house to find buyers for his or her other listings. Proper online marketing and showings are more effective rather than having random people going through you home, many whom are not even approved for a mortgage, and some being there just for something to do. Show Home Ready: Is your home properly fixed up, cleaned up and prepared for showing? When a potential buyer goes through, you want them to be able to see themselves living in the home. If your home has collections, personal pictures, unique decorations and paint colors, it will serve more as a distraction for a home buyer. Take that stuff down and pack it away so the home has more of a neutral appearance. Walls should have any wall paper removed and all walls repainted in neutral tones. While no home may be perfect in the eyes of all potential buyers, a plan should be made to make your home as presentable as possible before you list it. You want to get rid of all clutter, clean out closets and storage areas so that the home does not have a cramped feeling to it. Any repair issues also need to to be dealt with before listing your home. Odors from cooking, pets, etc. should be eliminated. Consider removing items that are not used everyday and put them into storage somewhere else to help reduce clutter and open up the space. Curb appeal plays an important part in decision making for buyers. A nicely manicured lawn with no leaves, some fresh mulch and flowers show that your yard is maintained. Your home from the curb is the first impression the buyer gets so landscaping and maintenance needs to be kept up at all times. Showings and Access: A buyer can see as many as 4 to 6 homes in one day. If they cannot get into see your home for any reason, that can result in a lost offer. If they saw 6 houses that day, but did not see yours, then your home is not even being considered in the decision making process. Also, the longer a home remains on the market the more likely a price reduction will be needed in order to get it sold. While your home is being showed, all people and pets should leave during that time. If it is not possible to remove your pets during showings, put them into a crate or somewhere where they are out of the way of the potential buyer. It is best however to remove all signs of pets so that home buyers do not imaging smells that are not really there. Communication: Communication is critical in the home selling and buying process. Your realtor needs to be able to communicate with you and any potential buyers as soon as a question may come up. You need to be available as much as possible, or be able to get back to your agent very quickly. If a potential buyer has unanswered questions from the seller and are left hanging, they can easily move on to the next home option. This can cost you the sale of your home to that buyer. Some offers to purchase come with a very short time frame for you to respond. Working with a professional real estate agent who returns calls and emails in a short period of time will lesson the chances of an offer being lost. Slow communications can be a deal killer in the home buying or selling process. Ask your agent what his/her turn around time is on communication. Agent: All real estate agents will show enthusiasm and will want to list your house for sale. Unfortunately, many agents still cling to ineffective, old school marketing ideas that do little to sell your home, which means that you miss out on the best buyers. Choose your agent based upon their experience at listing and marketing properties. Your real estate agent should be using online technology to market your home to potential buyers 24/7. Your agent should review with you a comprehensive Marketing Analysis of home sales in your area. Your agent must have a marketing plan that will get your home sold for the highest possible price. Working with a full-time professional real estate agent is a must. Choose your agent by asking questions of him or her about the current real estate market. Find out how knowledgeable they are about houses currently for sale in your price range and also about houses that have recently sold in your neighbourhood. Does your agent work with a good lender or mortgage broker that can assist the new buyer to obtain financing? Can they refer a good lawyer if they do not have their own? Doing your homework and choosing the proper real estate agent can get your home sold quickly at top dollar. A good realtor can also help you find and negotiate the purchase of your next new new home, to be prepared for when your existing home does sell. The tension and stress of selling a home in today’s real estate market can be high and having a home expire from the market without any offers can be an experience we would all want to avoid. If pricing and marketing are done wrong or not at all, it can easily cause the failure of your home sale. Do it right the first time or jeopardize having to start the whole process over again. Slade Desrochers a Saskatoon REALTOR® who always goes above and beyond for his clients. 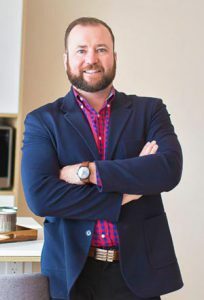 With over 1,700 homes sold, he truly enjoys knowing that his customers are 100% satisfied and would gladly recommend his real estate services to others. Being a student of real estate he always learning, adapting and implementing new and innovative ways to approach Saskatoon’s real estate market.